Welcome to HC Bernedoodles, the bernedoodle breeder where we can assure you that you will find only the best, bernedoodle puppies. 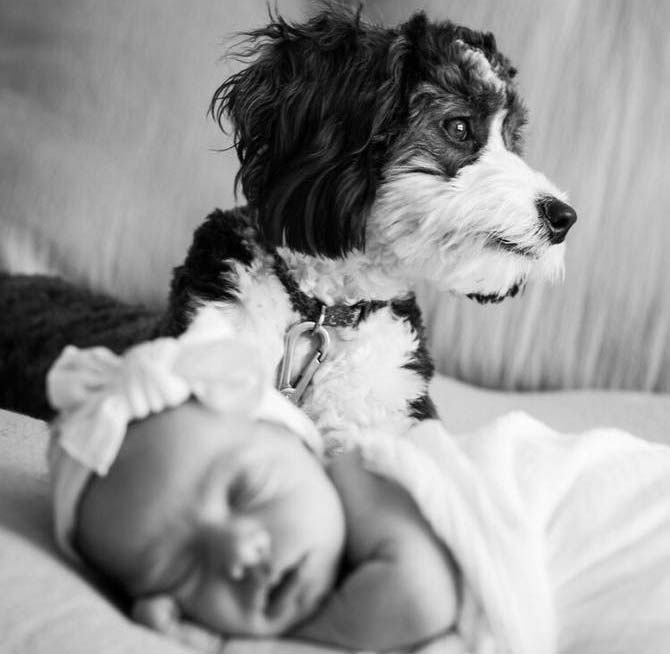 We strive to breed our bernedoodle puppies for outstanding temperament, conformation, and of course, most important of all, health. Each of our adults are Hip and Elbow Certified by the Orthopedic Foundation for Animals (OFA), as well as DNA tested for Degenerative Myelopathy (DM) and Von Willebrand's Disease (VWB). By doing these health tests we believe it ensures that we are taking every step possible to produce the best bernedoodle puppies possible for our puppy homes. Bernedoodles come in many different colors, sizes, and coats. There's the solid color bernedoodle which may be black or brown or possibly other colors as well. There's the bicolor bernedoodle which may be black and tan, black and white, sable and white and possibly other colors as well. There's the tricolor bernedoodle which may be black, white and brown and considered a black tri bernedoodle, or sable, white and tan and referred to as a sable tri bernedoodle. Currently, HC Bernedoodles offers mini, standard and tiny bernedoodle puppies for sale. Read more about each below and click to the following links to read more on each, view current litters, past litters, pups for sale and more information on each. Our Mini Bernedoodles are an F1 mini bernedoodle, which is a cross between our Bernese Mountain Dog girls and one of our Toy Poodle or Miniature Poodle boys. At 25 to 45 pounds this is a fantastic size for an indoor pet, while also being a very convenient size for families who may enjoy traveling with their pet companions. Click the link below to read more about our mini bernedoodle breeding and view our current mini bernedoodle puppies for sale. Our Standard Bernedoodles are an F1 Standard Bernedoodle , which is a cross between our Bernese Mountain Dog girls and one of our Standard Poodle boys. This is the largest bernedoodle breed and is an excellent size for families whom enjoy a large breed with minimal shedding and the most likely to possess the affectionate Bernese Mountain Dog trait. The tiny or micro mini Bernedoodle is the smallest size bred in Bernedoodles. You will see a tiny bernedoodle being bred in an F1B cross. 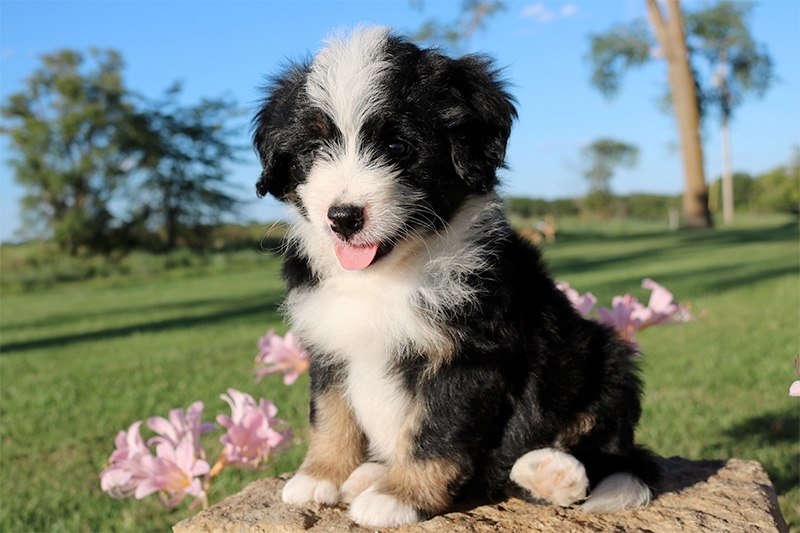 The F1B micro mini consists of breeding an F1 mini bernedoodle to a toy poodle, resulting in a 25% Bernese Mountain Dog and 75% poodle. 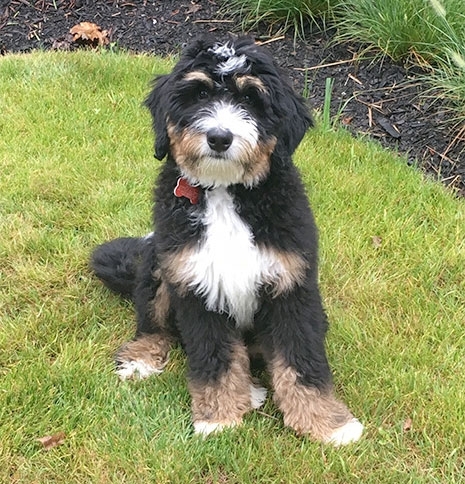 The Micro mini bernedoodle is the only cross that HC Bernedoodles recommends breeding in an F1B cross, due to being the only way possible to consistently breed for this extra small size. If you are looking for a great new bernedoodle puppy addition to your family, please check out our upcoming litters, or get on our email list for a upcoming litter. Thanks for visiting!